This is the indispensable introduction to supply chain management for tomorrow’s leaders and managers. Professor Hokey Min focuses on modern business strategies and applications, transcending obsolete logistics and purchasing-driven approaches still found in many other books. Focusing on outcomes throughout, Min demonstrates how to achieve continuous organizational success by applying modern supply chain concepts and best practices. Reflecting extensive recent experience working with leading practitioners, he introduces proven methods for understanding and solving real supply chain problems. You’ll master an integrated Total System Approach that places functions like inventory control and transportation squarely in context. Step by step, Min shows how to smoothly integrate internal and external functions, and how to establish effective inter-firm cooperation and strategic alliances. Along the way, he addresses crucial issues ranging from sustainability to risk management and metrics, and offers expert guidance on building your career in this vitally important field. This concise, practical guide introduces modern supply chain management as it really is: an innovative way to achieve competitive advantage, not just another word for operations, purchasing, or logistics. 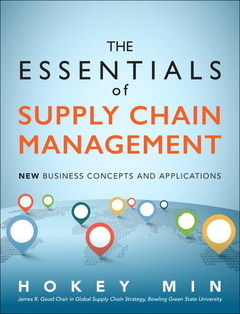 Through up-to-date examples, students and managers will learn how to integrate all key elements of supply chain management, from sourcing and logistics to sales/marketing and global partnerships. You’ll master all the crucial concepts and best practices you need to succeed in modern supply chain management. Min offers deep insights about how modern supply chains and networks fit together, shows how to assess supply chain practices and performance, and introduces a systematic approach to thinking through supply chain problems–and solving them. Min examines crucial issues ranging from resiliency, sustainability, and risk management to the legal, ethical, and environmental aspects of supply chain operations. He also offers indispensable practical guidance for students and frontline managers seeking to pursue professional certification and build successful careers.